A supply chain is an entire system of producing and delivering a product or service, from the very beginning stage of sourcing the raw materials to the final delivery of the product or service to end users. 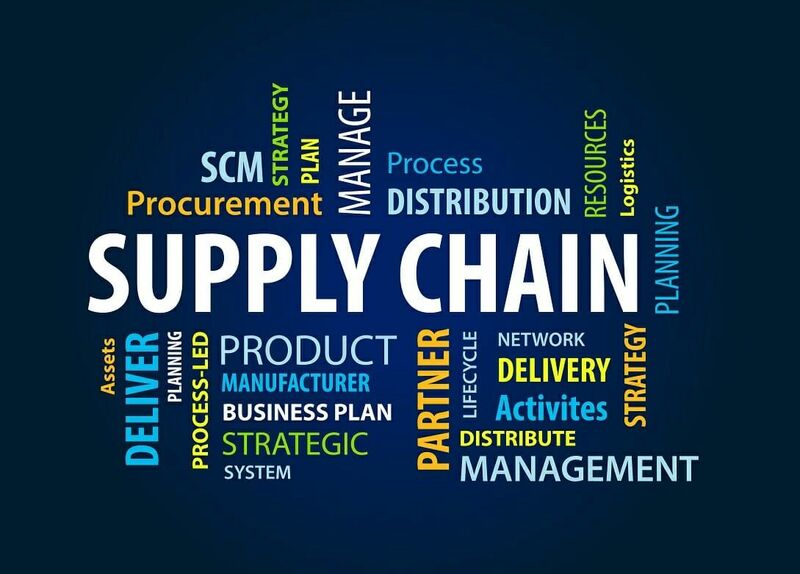 Supply chain lays out all aspects of the production process, including the activities involved at each stage, information that is being communicated, natural resources which are transformed into useful materials, human resources, and other components that go into the finished product or service. Why Should A Company Understand Its Supply Chain? Mapping out a supply chain is one of the critical steps in performing an external analysisExternal AnalysisExternal analysis means examining the industry environment of the company, including factors such as competitive structure, competitive position, dynamics, and history. On a macro scale, external analysis includes macroeconomic, global, political, social, demographic, and technological analysis. To begin the discussion in a strategic planning processStrategic AnalysisStrategic analysis refers to the process of conducting research on a company and its operating environment to formulate a strategy. The definition of strategic analysis may differ from an academic or business perspective, but the process involves several common factors: Identifying and evaluating data relevant to the. The importance of clearly laying out the supply chain is that it helps a company define its own market and decide where it wants to be in the future. In developing corporate-level strategiesCorporate StrategyCorporate Strategy focuses on how to manage resources, risk and return across a firm, as opposed to looking at competitive advantages in business strategy, a company often needs to make decisions on whether to operate a single line of business or enter into other related or unrelated industries. 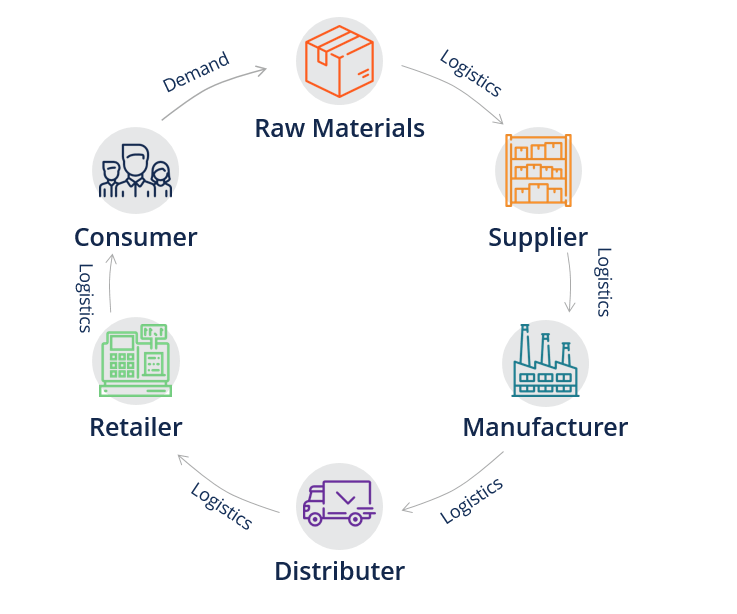 Each stage of a supply chain is essentially a different industry, for example, raw material extraction and manufacturing. The supply chain enables a company to understand others that are involved in each of the stages, and therefore provides some insights on the attractiveness or competitiveness in these industries the company might want to enter in the future. Let’s look at two different examples of a supply chain. The generic supply chain begins with the sourcing and extraction of raw materials. The raw materials are then taken by a logistics to a supplier, which acts as the wholesaler. Through logistics, the materials are taken to a manufacturer, or probably various manufacturers who refine and process them into a finished product. Afterward, it goes to a distributor that wholesales the finished product, which is next delivered to a retailer. The retailer sells the product in a store to consumers. Once the consumers buy it, it completes the cycle, but it’s their demand that then goes back and drives the production of more raw materials, and the cycle continues. In this example, the e-commerce company operates a website, and that website sells various products on it. 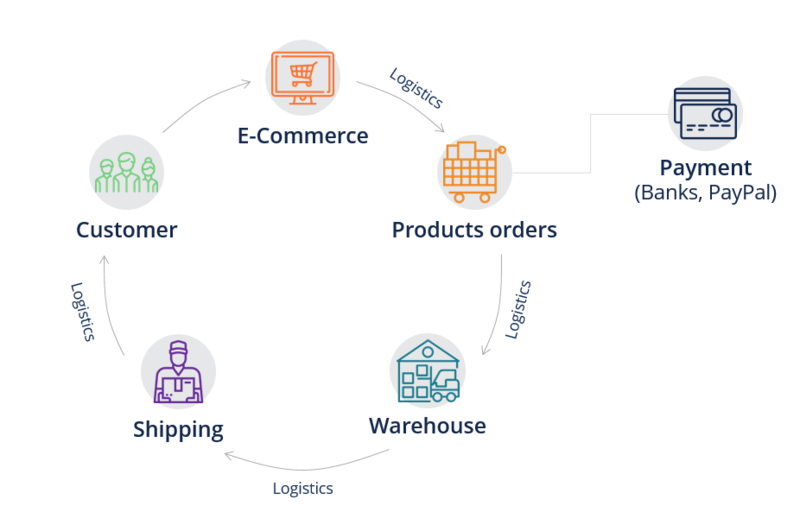 When a customer places an order for a product, the product order is being processed by technology such as a checkout cart, an order system, or a third-party product like Shopify. The payment processors then come in and deal with payment transactions for the order, which actually opens up a new supply chain. The payment processors use their own systems, but in most cases, third parties such as PayPalPayPal HoldingsPayPal Holdings, Inc. is one of the largest online payments companies that allow parties to make payments through online funds transfers. The online payment system offers electronic alternatives to traditional payment methods such as money order and checks. PayPal provides a platform for online vendors, auction sites, and Stripe are employed, and they involve banks and other providers. When a product order is placed, the warehouse receives the order and ensure the product is ready for delivery. The warehousing company can be either in-house or a third-party logistics provider. The order then goes from the warehouse to the shipping company. Once again, the shipping may be in-house or a third-party shipping company. After shipping, the package arrives at the customer’s door and the customer receives it. Finally, the customer’s demand eventually goes back to the website and drives further business. Thank you for visiting our resource on supply chains. To learn more about external analysis and how to perform strategic analysis, enroll in our Corporate & Business Strategy course today!